The year 3 class and teachers from the Steiner school visited the department at AZRI in mid-September. 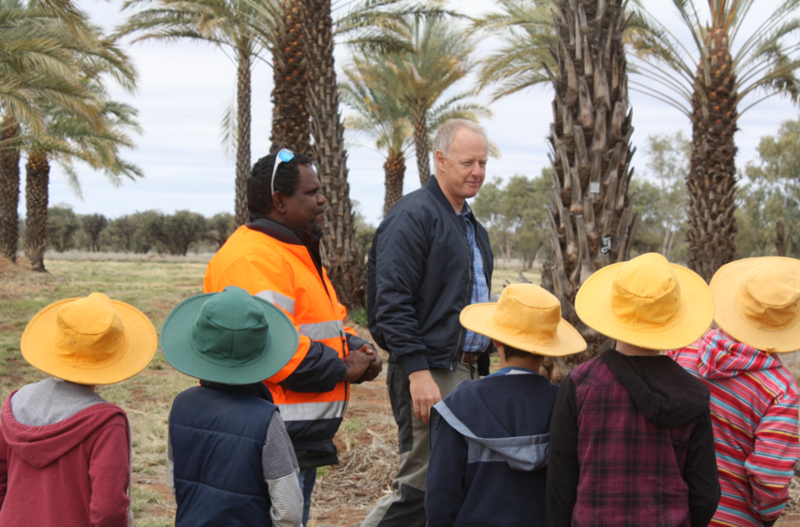 The students had been learning about the cattle industry and how it contributes not only to our economy but to our dinner plates and barbeques as well. Under the topic of ‘where their food comes’ they also explored other aspects of local food production. The students have their own vegetable garden at the school and do composting so are no strangers to producing their own food. 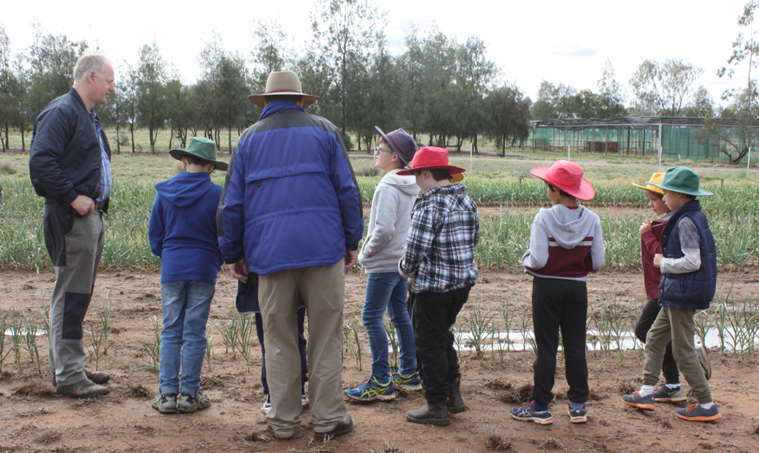 The horticultural staff hosted the students first with a trip around the date palms then onto the asparagus and garlic plots where the students were encouraged to taste test the products. 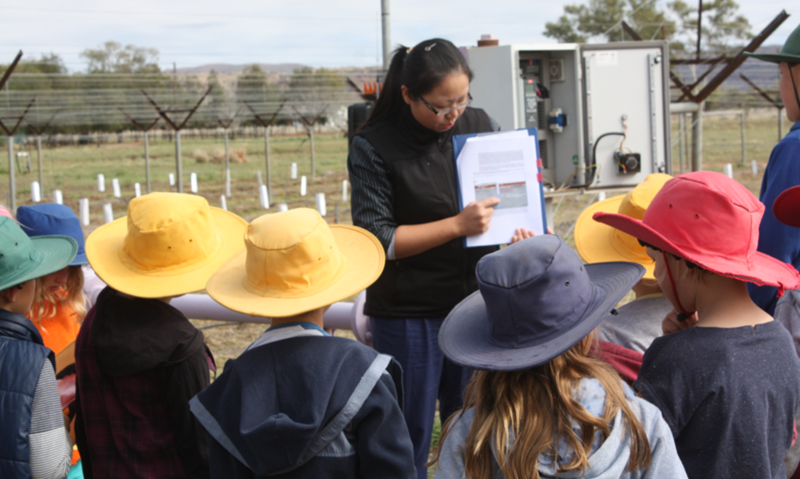 The bush tomato patch was next, followed by watching the bore being flushed for water quality testing and then looking at the table grapes and olive trees. 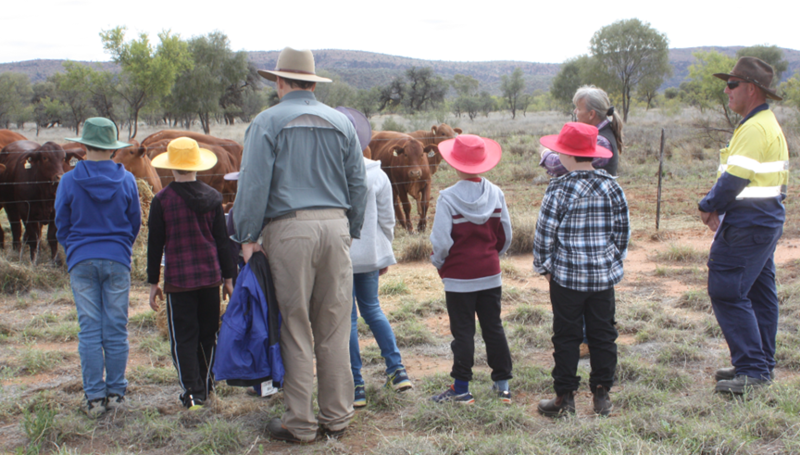 AZRI farm staff introduced the students to our sentinel cattle herd and chooks explaining the role they have here at the farm. The students were very excited about getting up close to the young heifers and even managed to feed some hay to them over the fence. 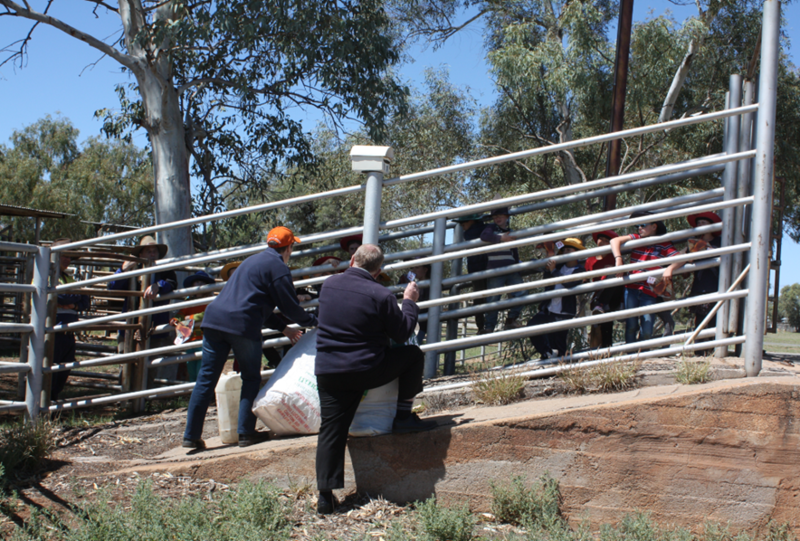 After a break the students then went over to the cattle yards to see how stock are managed, moved around, weighed and trucked. They donned their cow masks made by staff and pretended to be a herd. There was much laughter and chatter as they made their way through the system and up the race to be trucked. The classic of the day was when the students were in the race there was a nervous voice from one little fellow saying ‘but I don’t want to end up in the butcher’s shop’.